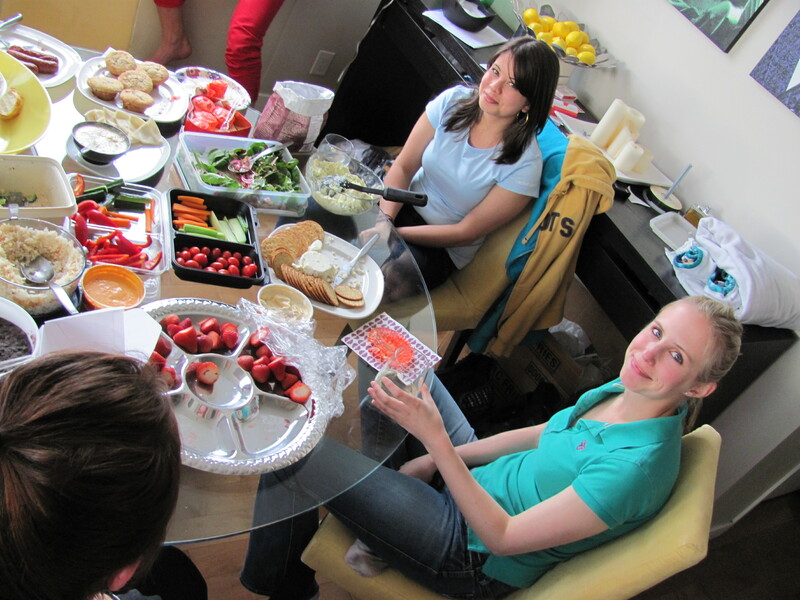 If you need a potluck hit, these’ll knock your friends flat. From an addictive sugar high. 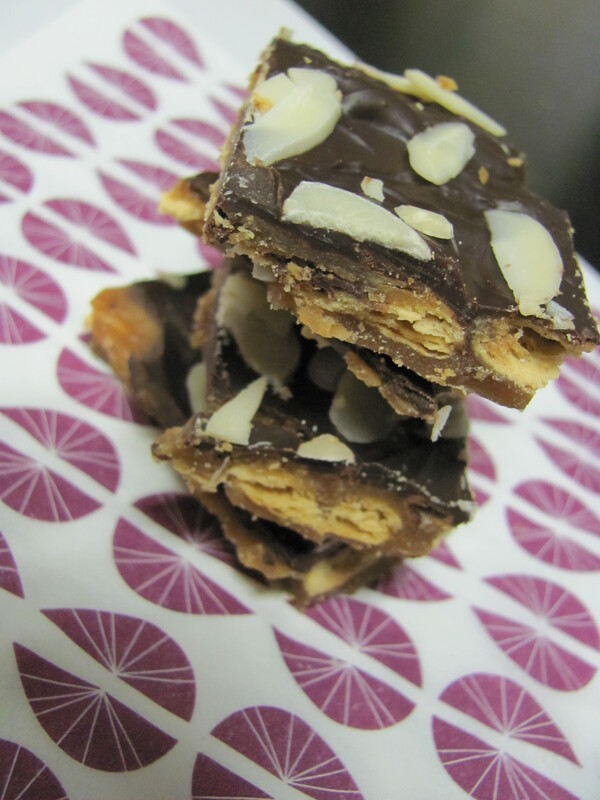 I present to you a take on almond roca — another recipe from my mother, the woman I blame for my, not one, but four sweet teeth. For now, have a go at these and tell me if you don’t eat every last crumb. Because if you don’t eat every last crumb, you should be given a prize for sugar restraint. 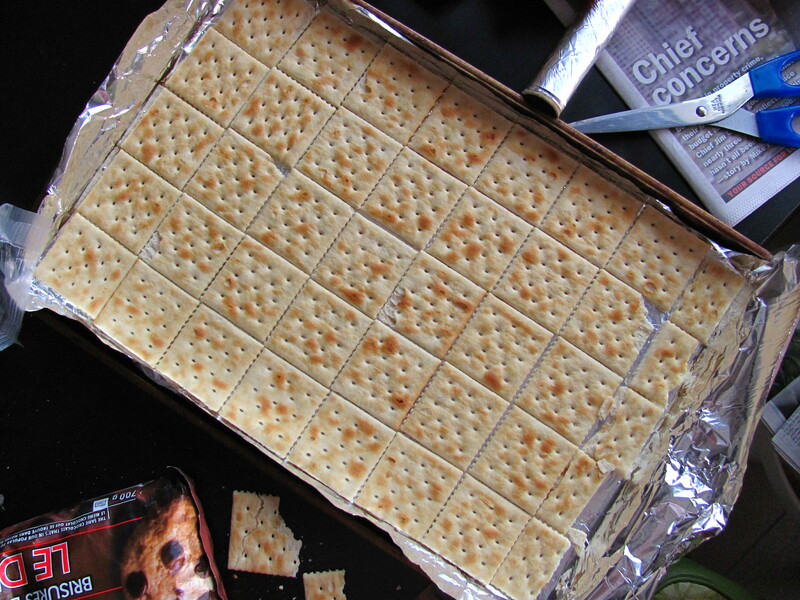 Lay out the saltine crackers on the foil; no overlapping necessary. You can break a couple in half to fill the ends of the tray if necessary. In a saucepan, melt the butter with the sugar. Bring to a boil for 2 minutes. Keep stirring! It’ll bubble into an aromatic caramel. 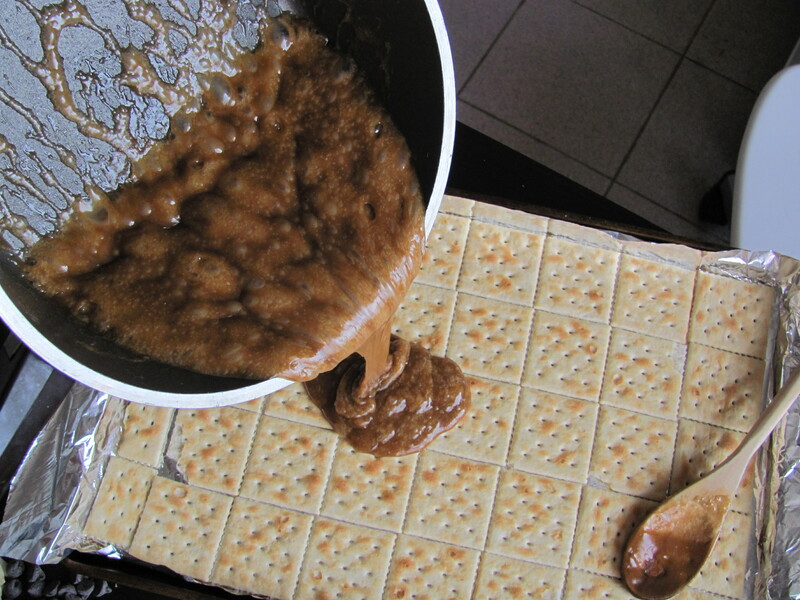 Pour the caramel onto the crackers and spread out evenly. Pop into a 350*F oven for 8-10 minutes and keep an eye on it — the edges will burn if left in there too long. You’re just letting the caramel caramelize even more (heck yes). 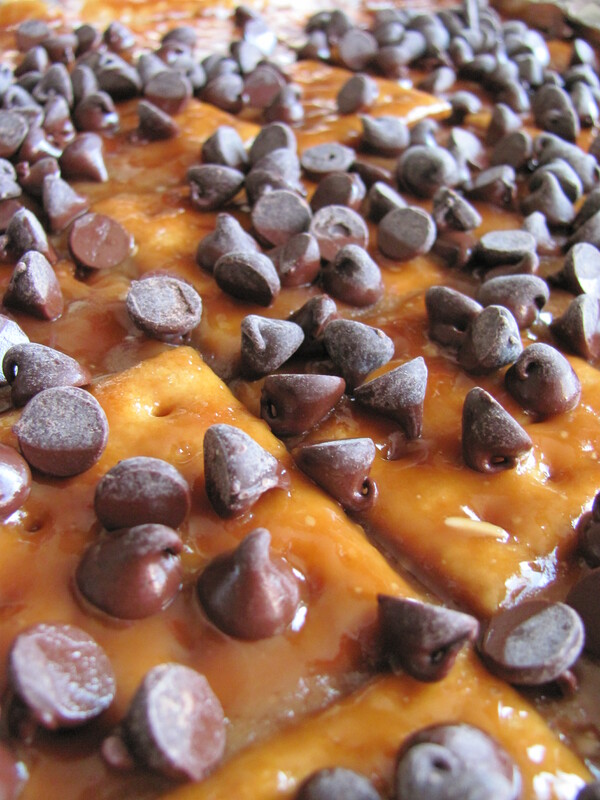 Remove the pan from the oven and dump the chocolate chips all over and pop back into the oven for 30 seconds. 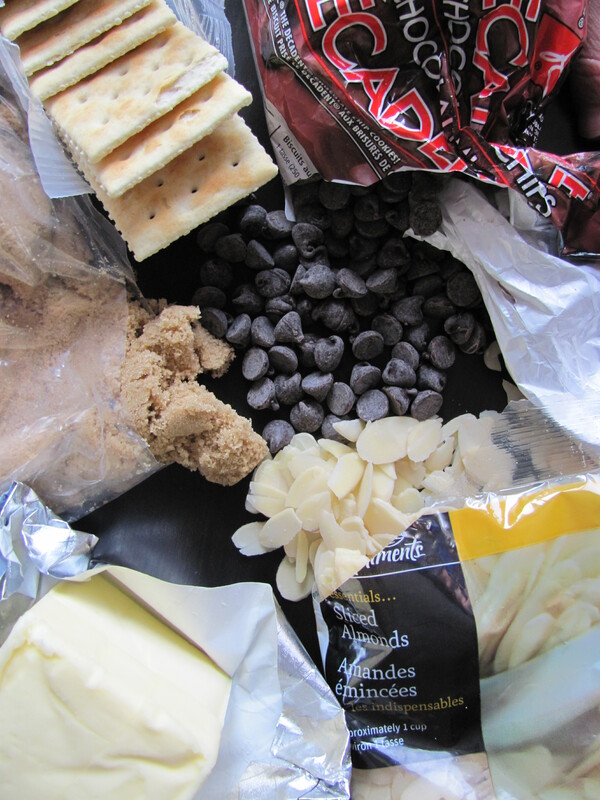 When those choco-chips look glossy, get ’em outta there and spread it all around. 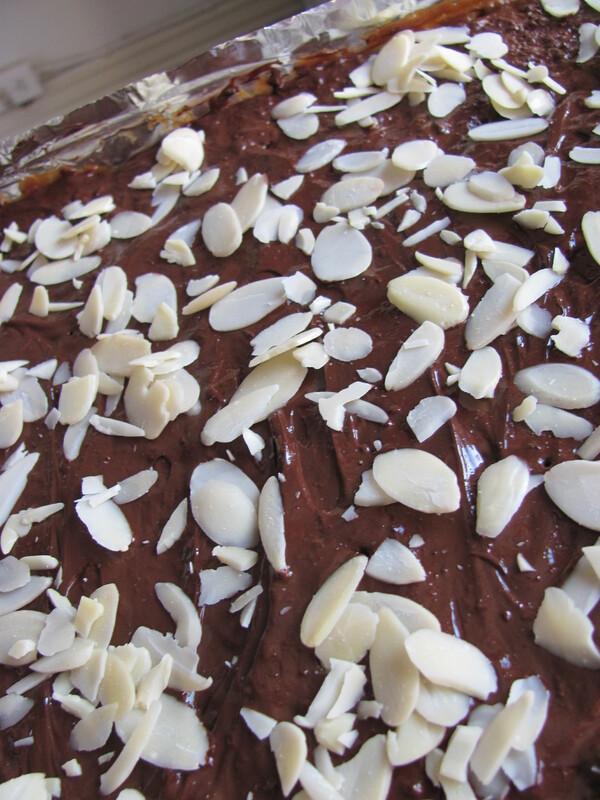 Sprinkle the almonds on top and let solidify. If you can’t wait to try it (it’s hard to have patience when sugar is involved), put the tray in the freezer to speed up the process. Once The Goodness is hardened, lift it from the tray and peel off the foil. [See what I mean about the foil? Vital.] Use a large knife to chop roughly into large chunks of happiness. 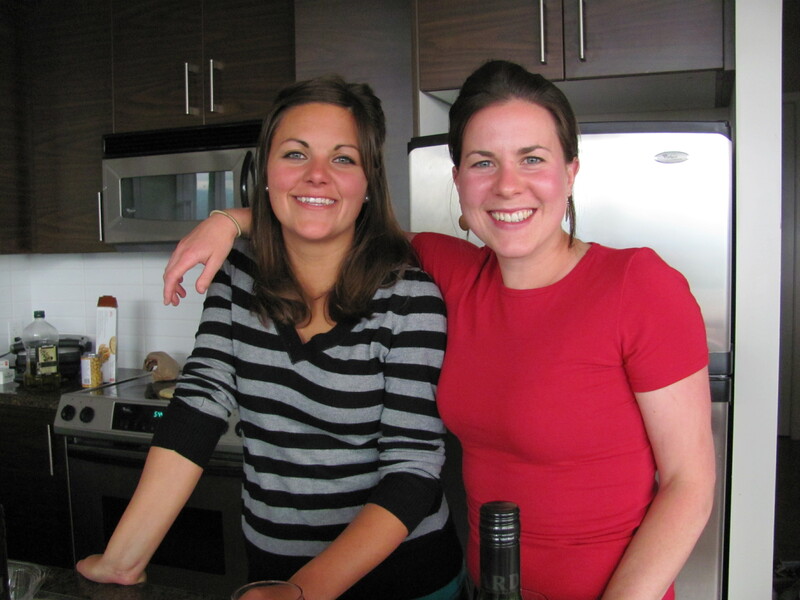 Best to keep it stored in an airtight container in the fridge. You know, so it doesn’t get gobbled up immediately.